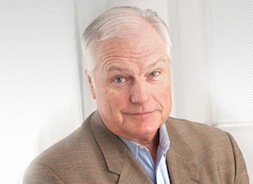 They've spanned generations at Dallas-based WFAA8, Verne Lundquist from 1967 to '83 and Dale Hansen from '83 to the present. That's 43 years of one or the other being the station's lead sports anchor. It's doubtful that can be duplicated in any or many other TV markets. Frankly, there used to be a bit of bad blood between the two. 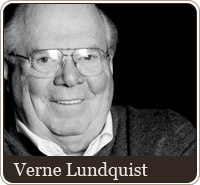 But Hansen rose to the occasion when Lundquist was inducted into the National Sportscasters and Sportswriters Hall of Fame in Spring, 2007. Lundquist is "one of those special guys who is incredibly comfortable behind an anchor desk or in a booth at a football game," he told unclebarky.com back then. "And his call of the Tiger Woods chip in at The Masters will be replayed long after we're all gone. He is that good. And anybody who can go from Bowling for Dollars to The Masters should be in the Hall of Fame." Hansen and Lundquist chummily reunited during a recent edition of WFAA8's Good Morning Texas. Their chat included clips ranging from the station's old bowling show, hosted by Lundquist, to his sharing a courtside perch with President Obama during a CBS telecast of a Duke-Georgetown basketball game. Lundquist's calls of two historic shots -- by Woods and earlier, Jack Nicklaus -- were also replayed.